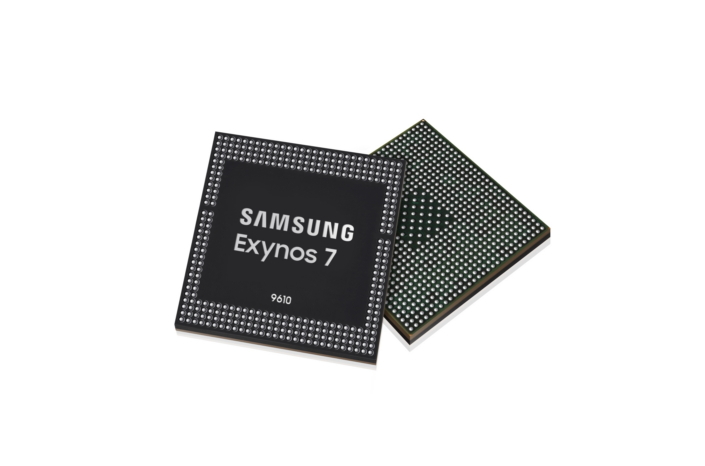 Samsung Electronics, a world leader in advanced semiconductor technology, today announced the availability of its latest application processor (AP), the Exynos 7 Series 9610. The Exynos 9610, built on Samsung’s 10-nanometer (nm) FinFET process, elevates the multimedia experience in high-end smartphones with premium-level features such as deep learning-based image processing for ultimate picture-taking experiences and stunning slow motion video recording at 480 frames per second (fps). For always connected and seamless mobile broadband connection, the embedded all-network LTE modem supports Cat.12 3CA (carrier aggregation) at 600 megabits per second (Mbps) for downlink and Cat.13 2CA at 150Mbps for uplink. The processor is also packed with wireless communication technologies such as high-throughput 802.11ac 2×2 MIMO Wi-Fi, faster and longer range Bluetooth 5.0, and FM for radio. In addition, for global location positioning coverage, it embeds a 4-mode Global Navigation Satellite System (GNSS) receiver that includes GPS (Global Positioning System), GLONASS, BeiDou and Galileo.